Happy Thanksgiving! Sorry for the lack of posts recently! I’ve dug up some old pictures to add a new tutorial. 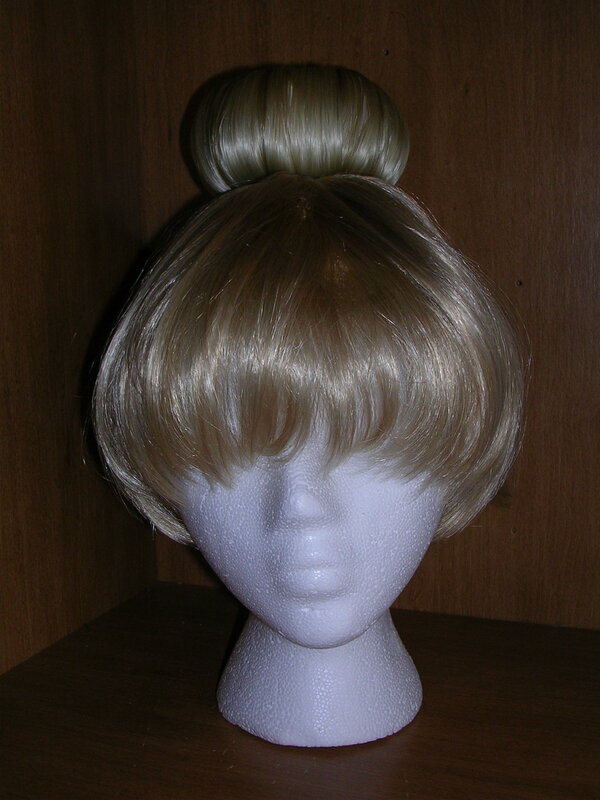 Here’s one way I make buns for wig styling. 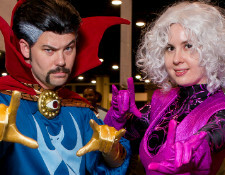 This is the technique I also used for Luna. Tie together a generous clump of loose hair that matches the wig with a cut rubberband. The base wig I was using was a blend of the colors 24 and 613, so I got loose hair in those colors and blended them together for the bun. Trim the ends of the hair so that they’re fairly flush with each other. Generously apply caulk to the end and push it into the fibers so that they’ll be well connected. Walk away and let the caulk dry. After the caulk has dried you can also remove the rubberband. This picture shows the caulk dry. 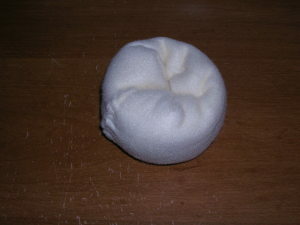 Sew together a donut of fleece the size you want your bun to be. I rolled the fleece up to the volume I wanted and then sewed the ends together. Insert the caulked together hair into the donut hole. Sew it in place at the bottom of the bun/caulked end of the hair. You shouldn’t have problems running the curved needle through the dried caulk. 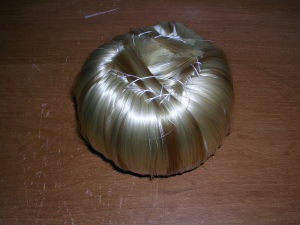 Wrap the hair around the donut one section at a time and stitch into place. Use overlapping stitches. 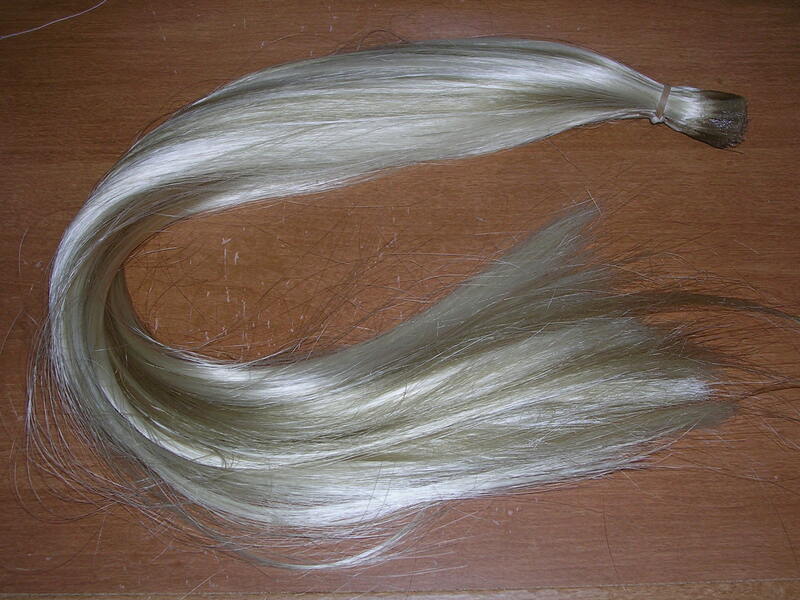 When the excess hair starts crisscrossing and getting in your way you can trim off some of the excess length. And what I did is go around the bun once with just enough hair to cover it and then went back over thin spots with hair I still had left. I was just trying to be careful and make sure everything would be covered. Continue wrapping and stitching until the whole donut is covered. 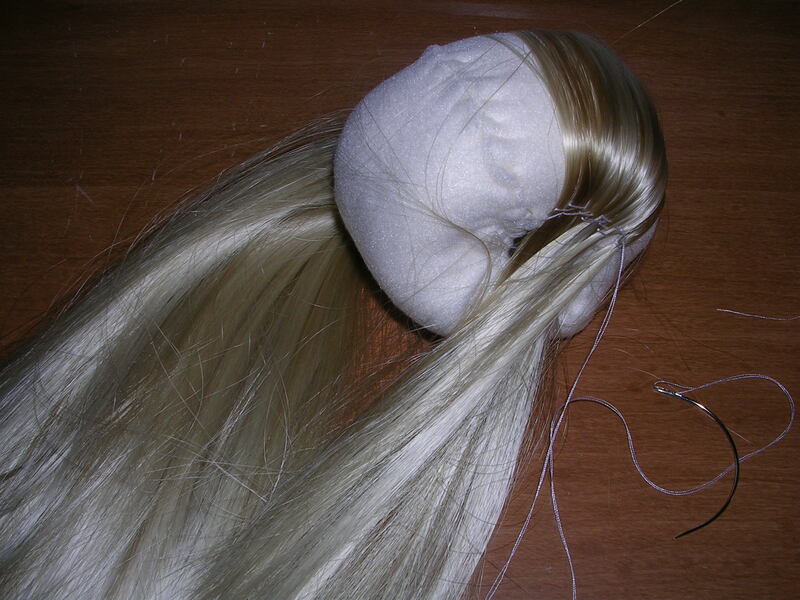 Caulk the mess out of the ends of the hair within the ring of stitching. Walk away, finish your costume, come back a few days later and see if it is dry. Seriously I used so much caulk here that I set it aside for about a week to dry. This picture shows the caulk wet. 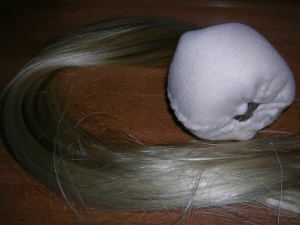 Once that is finally dry you can do any more styling you want to it and pin it to the base wig. 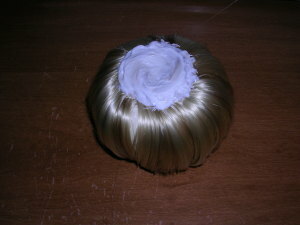 All I did to it was hairspray it and blow dry it a bit before attaching it to the base wig. For Tinkerbell I safety pinned the bun on so it could be easily removed if the wig needed washing or to be used for other characters. For Luna I sewed them on. I really like being able to attach these buns these ways since the base is fleece. This entry was posted on November 27, 2014 at 12:40 am. You can follow any responses to this entry through the RSS 2.0 feed. Both comments and pings are currently closed.